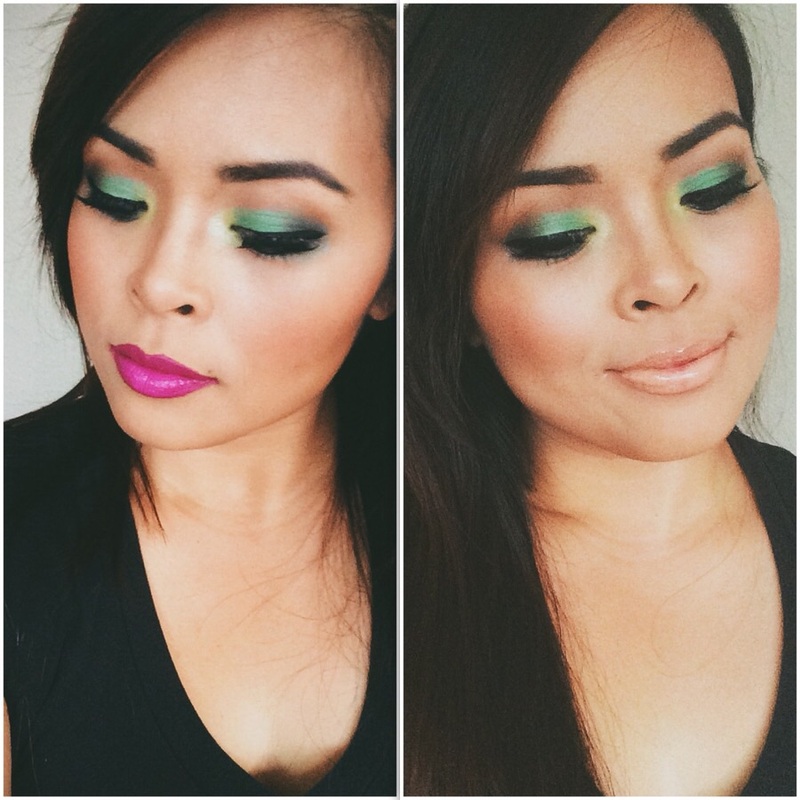 Heres a look using the Marge Simpson Trillion Dollar Look palette from MAC. Lips: Urban Decay – Venom Lip Liner, NARS Audacious Lipstick in Angela, Itchy & Scratchy Lipglass from MAC. The lighter lips – Spice Lip Liner from MAC, Socialite lipstick from Coloured Raine, and Nacho Cheese Lipglass from MAC. Bronzer – Too Face Chocolate Soleil Matte Bronzer, Cubic & Sunbasque Blush from MAC, Anastasia Beverly Hills contour kit. Brows – Anastasia Beverly Hills Dipbrow in Ebony. Lashes are from Ardell. quick look using the marge simpson "trillion dollar look" quad palette on the eyes from @maccosmetics @anastasiabeverlyhills dipbrow pomade in ebony, and soft brown, set with espresso brow gel. blush is sunbasque and cubic also from mac. Lips: left side is #narscosmetics audacious lipstick in "Angela" gloss is also from the mac marge collection called "itchy&scratchy", and on the right is "socialite" from @colouredraine glossed with "nacho cheese explosion," again from macxmargesimpson.. WHEW!!! here’s a few pictures from today. 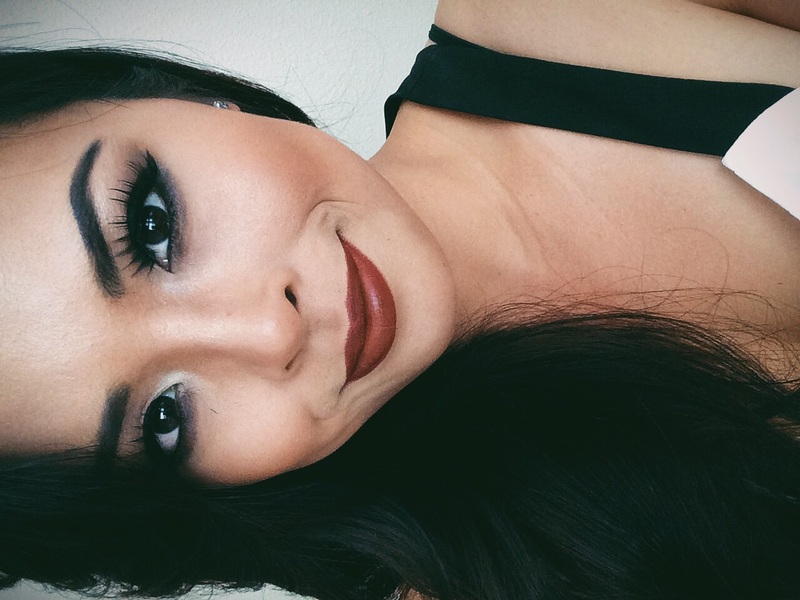 played with my kat von d monarch palette, practiced contouring using anastasia beverly hills contour kit, used my new MAC photo lipstick and tried to perfect filling my brows also using anastasia’s dipbrow pomade. my lashes are ohmylashx in desiree.